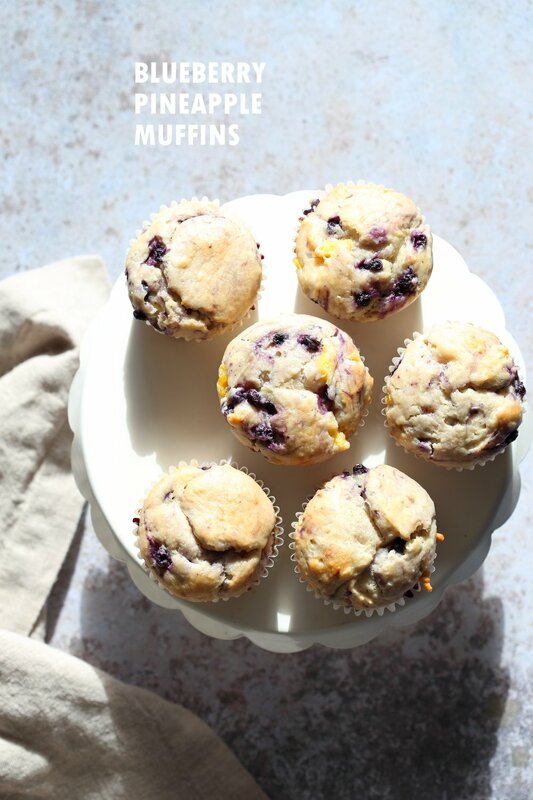 Vegan Blueberry Muffins with Cream Cheese & Pineapple. Blueberry Cheesecake Muffins! Soft, Moist, Delicious Pound Cake like Muffins. Vegan Soyfree Recipe. Glutenfree option I don’t know why I had not tried Blueberries + pineapple. They go so well together! Tart, Sweet and summery. Folded into a moi..